It is then again the season of joy & giving! Want to be an excellent gift-giver to your friends? 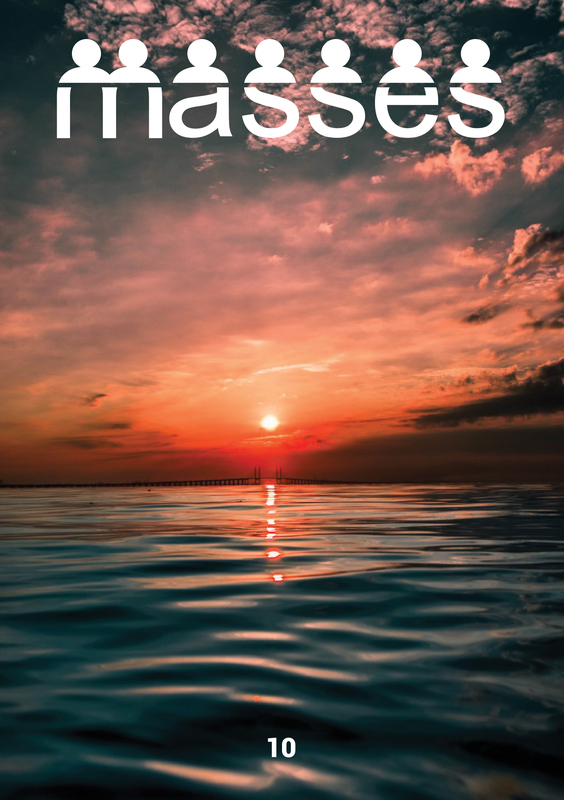 We here at MASSES MY have compiled a list to cater for different types of friends! Be sure to check out & make sure they get the best they could ask this Christmas! Converse collaborated with outdoor wear innovators, GORE-TEX® to come up with a series of Converse 70’s that’s built to brace the harsh weather, in other words, for Malaysians. Full waterproof rating while still allowing for perspiration to pass through makes this Chuck 70 easily the most versatile shoe in your collection. The capsule comes in five different colorway & patterns, but to get real festive, one is sure not to miss the orange colorway. Which Converse has decided to use the signature GORE-TEX® trademark bright orange color used in majority of their outerwear gear. Like what you see? The Converse Chuck Taylor All Star 70’s GORE-TEX® now available in all CrossOver stores nationwide. Cop em’ quick for this festive season. If you love denim, you should definitely check out Moleskine’s latest Denim Collection planners, as per Moleskine described on this collection: ‘Denim may fade over time, but it’s popularity never does’. No other statement has speaks truer words than that. The 12-month Weekly Notebook planner is beautifully covered by two different shades of Denim, both stone washed & selvedge. Typical to Moleskine’s attention to detail, the diary is formatted to show the week’s appointments on the left with a full lined page for notes, to-do lists and ideas on the right. It is a handy and versatile diary/planner that allows you to see the whole week in one place, while also incorporating the freedom of a notebook. A contrasting elastic closure secures the pages while a matching bookmark ribbon helps you stay on track throughout the year. Perfect for that friend who loves to keep things in check! Want to get festive but don’t want to stand out too much in a crowd? Then you should definitely check out UNIQLO’s Argyle printed socks. Based off of something the Scottish Highlanders used to wear in Scotland back in the 17th century, the print has gone on to be more and more associated with western festivities such as Christmas. Head on now to UNIQLO & grab some of those festive vibes for your feet! Now, who needs to be subtle when you can be loud and bathe in the Christmas spirit! You should definitely check out H&M Christmas Collection, with printed ‘ugly’ sweatshirts with Christmas prints to funky Christmas themed footwear. It is sure not be missed this coming Christmas! Let’s admit it, at this day & age’s fashion climate. We are bound to have at least one friend that is all about the hype & streetwear. Hopefully, these fresh kicks are sure to satisfy that friend of yours. 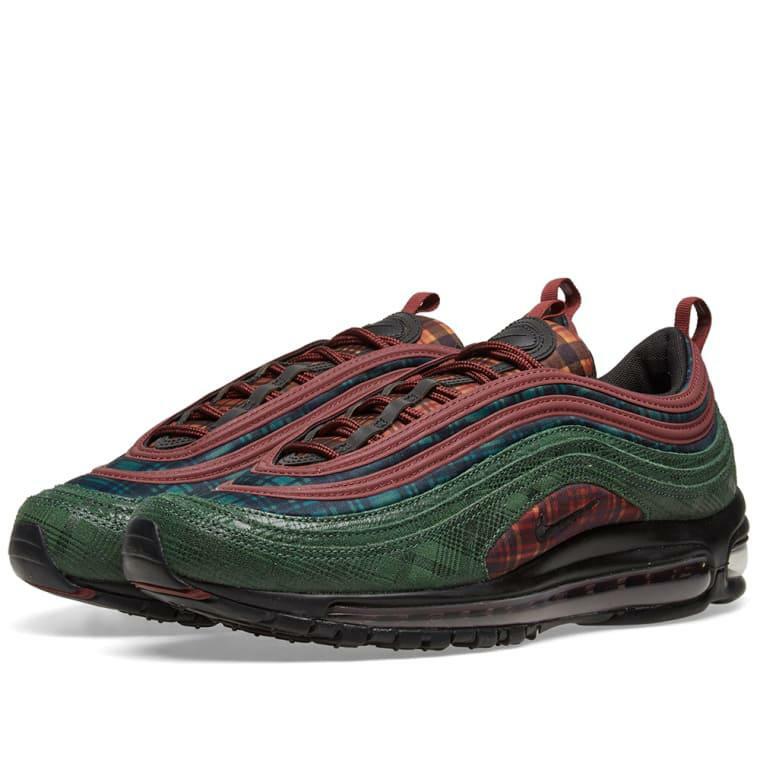 The Nike Air Max 97 NRG Jacket Pack comes in a “Team Red/Midnight Spruce,” a plaid pattern serves as the first layer and is followed by forest green. As you continue to move towards its ankle entry the upper is completed by burgundy and yellow plaid on the tongue. Finally, a black midsole encases a matching full-length Air Max unit for this special iteration. One look at the shoe & you know the Christmas bells are ringing.